It can also connect the temperature sensor, so it can measure t he quantity of heat as BTU meter. Q: How long is your delivery time9 A: Generally it is 5-10 days if the goods are in stock. or it is 15-20 days if the goods are not in stock, it is according to quantity. 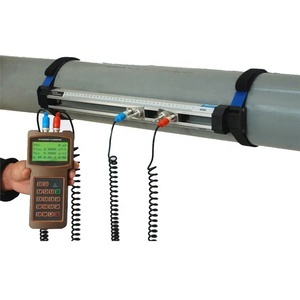 3 YRS Beijing Jitai Tech Detection Device Co., Ltd.
TUF2000M Technical Specifications Accuracy &le;1% Velocity range 0~&plusmn;10m/s, Bi-directional measurement Pipe size DN32~DN6000mm Temperature -30~160&#8451; Type of liquid Single liquid can transmit ultrasound, such as water, sea water, sewage, oil, alcohol, etc. Pipe material Steel, stainless steel, cast iron, copper, PVC, aluminmum, glass steel, etc. Signal output 1 way 4-20mA output 1 way OCT pulse output 1 way Relay output Signal input 3 way 4-20mA input, achieve to heat measurement by connecting PT100 platinum resistor. 2. 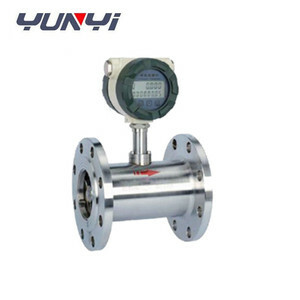 Product integrated micro processor, temperature sensor and pressure sensor for direct measurement of flow rate, temperature and pressure of the medium. 3. 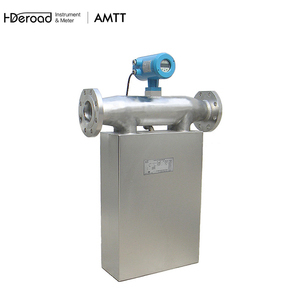 It could conduct temperature and pressure compensation for flow rate and amend compression factors automatically . 10. Detachable fully closed structure of the product ensures strong impurity resistance performance and good i nterchangeability. 3 YRS Lanry Instruments (Shanghai) Co., Ltd. Sensors with pipe diameter of DN50~DN200 are of flange connections with maximum operating pressure of 2.5Mpa. 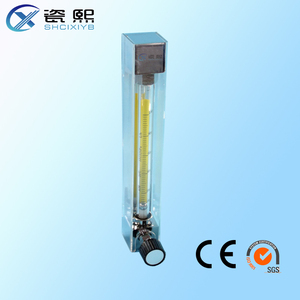 Sensors with pipe diameter of DN4~DN10 are provided with front and rear straight pipe sections and filters. Please specify when placing an order if flange connections are required for pipe diameter of DN15~DN40. Please specify when placing an order for high pressure type and special requirements. Coriolis mass flow meter (PHCMF) is a new type flow meter which is designed according to Micro Motion and Coriolis principle. ) Low Installation Requirement: (there is no requirement for straight pipe upstream or downstream) Reliability, low maintenance rate. 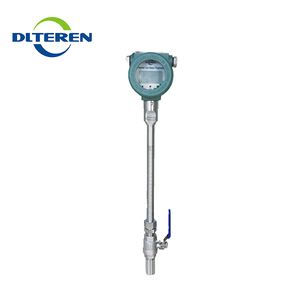 Application The PHCMF mass flow meter can be used in the following fields to meet the requirements of ingredient, mixing processes and commercial measurement. The external voltage must be lower than 35V and the max output current is 250Ma when the transistor is turned on. The external voltage must be lower than 35 V and maximum output current is 250Ma when the transistor is turned on . At the exhibition, many customers were met and orders were placed through subsequent exchanges and interactions. 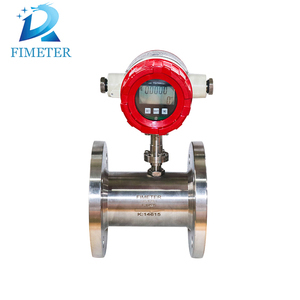 The flowmeter integrates flow, temperature, pressure testing function, temperature, pressure and compression factor automatically. 2. 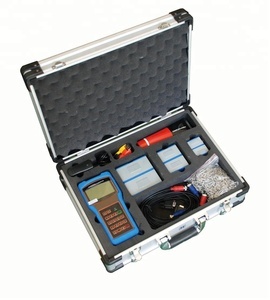 The dual probe technique can effectively improve the detection signal intensity and restrain the interference caused by pipeline vibration. 7. The 16 bit microcomputer chip has the advantages of high integration, small size, good performance and strong function of the whole machine. Alibaba.com offers 6,238 flow measurement and instrumentation products. About 85% of these are flow meters, 1% are sensors, and 1% are measuring tools. A wide variety of flow measurement and instrumentation options are available to you, such as free samples, paid samples. There are 6,238 flow measurement and instrumentation suppliers, mainly located in Asia. 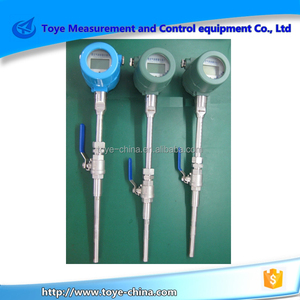 The top supplying country is China (Mainland), which supply 100% of flow measurement and instrumentation respectively. 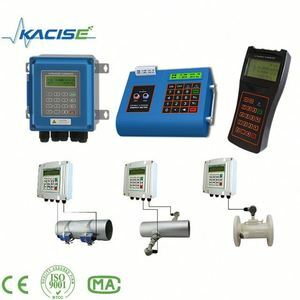 Flow measurement and instrumentation products are most popular in Domestic Market, Southeast Asia, and South Asia. You can ensure product safety by selecting from certified suppliers, including 3,111 with ISO9001, 1,009 with ISO14001, and 602 with OHSAS18001 certification.